Hi chaps, I\'ve recently bought a 407bhp 13b engine that a mate took out his RX7 after deciding to go the LS2 root. I\'m planning on fitting it transverse to my 306 track car so this will mean making an adaptor so the Pug box will mate to the Mazda engine. I\'ve got the g/box offered up to the engine at the moment and after a bit of a worry about the intermediate driveshaft clearing the exhaust manifold I reckon it will **** in with perhaps a bit of a an engine tilt. I wondered if anyone has a drawing of the Mazda 13b bellhousing which would save me stripping the engine down and plotting the hole centers myself. 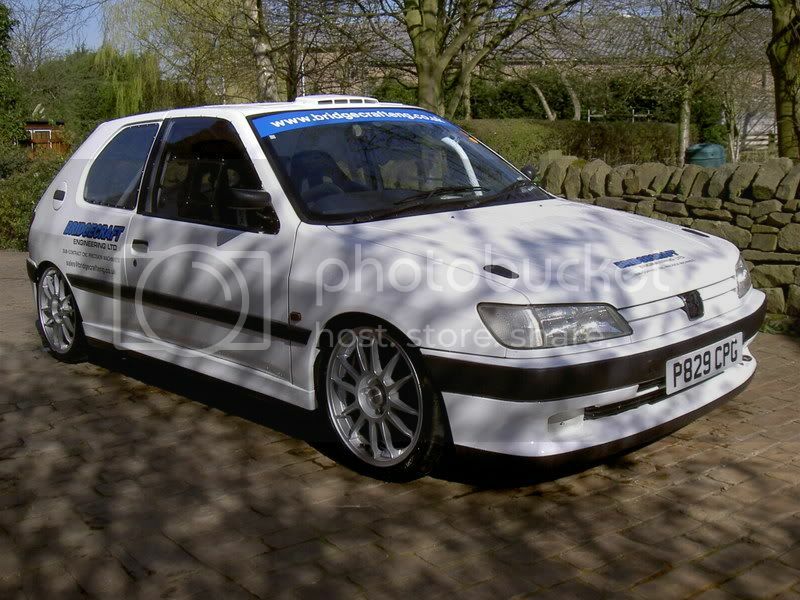 This is a picture of the car the engine will be going in, I\'ve done a 8min 38sec lap round the Ring with my g/friend in and quite few hold ups, so going from 170bhp to 407bhp should see me shave a few seconds off that time. I know Ross @ Dragon is interested in putting the 13b into differnt cars, so give him a call, he maybe able to help you out. 01404 891888.
wow, surely you\'d be better off with the power going to the back. Talk about torque steer for getting round a corner. Make sure you post images of the coversion when you start. Are you running N/A or turbo ? Oh and Lovely pug too Bet its quick already ! Ta for all the comments, I\'ll post the pictures when it gets underway. It would be nice to RWD it but I want to retain the balance of the car. I do a lot of track days with a mate that does the Cleo cup and on a lap I can almost keep with him and I did keep with him a couple of weeks ago in the wet at Donington.When you consider a Cleo cup car does 0-100mph in 12 seconds and my engines std this shows you how well the car works. The car as a package works incredible and I want to try and retain that balance as much as I can. The engine that I\'m fitting is a single turbo 13b engine thats been dyno\'d at WGT when it was in my mates RX7 at 407bhp a couple of months ago. The only other really important thing to consider early on is if the gearbox will stand upto a really big hike in power. How strong is the 306 gearbox and diff ? 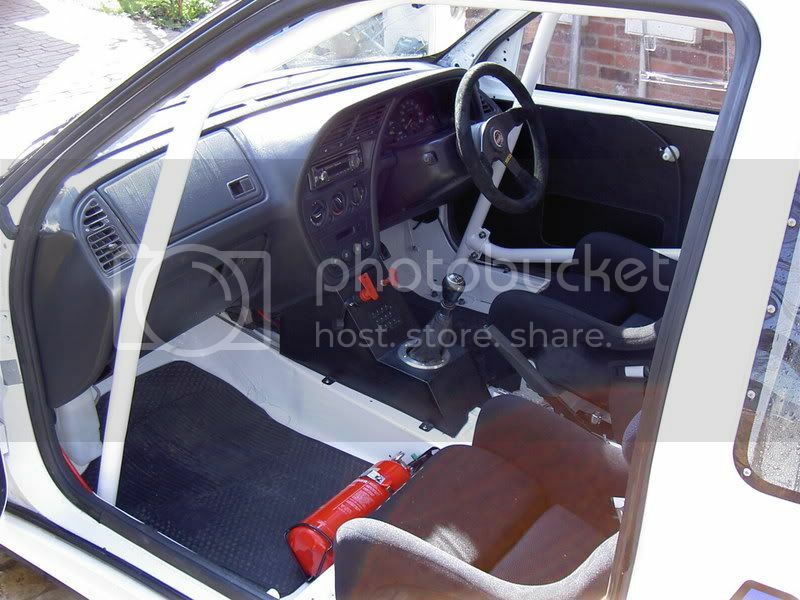 Last thing you would want is to blow the gearbox up every time you put your foot down. Space shouldn\'t be a tremendous problem as these engines have even found there way into Mini\'s before now. Unfortunately I don\'t think your going to find the drawings you need anywhere. Hi Shaun i see your from Preston,my mate Craig that sold me the engine lives at Preston. As well as the 650bhp LS2 engined 975kg RX7 that my engine came out of he\'s also got the tripple rotor RX7 that was built by WGT, this car runs over 600bhp as well. The six speed gti6 box isnt known for being strong but one of the lads on the GTI6 forum runs over 400bhp through one without much trouble.I had considered running the V6 box which is much stronger but there no LSD available for it. Ah right. I\'m not sure I know Craig TBH. Don\'t think he is a member on the club ! I would go for the stronger box. Do you really need a LSD for a FWD setup ? Didn\'t they give the focus RS alot of stick for having one ? Be a very nice setup when running though ! a friend of mine was looking at putting one in his fiesta xr2, same problem was the shaft clearing the manifold. The best thing you can do is pop into WGT and get pip to give you a knackered rear plate, They are the same from any engine, even a 12A so it wont matter which engine it comes from. My mate was quoted about 400 quid for a conversion plate for the ford bell housing. Good luck with it, it will take some fettling but will be worth it.